This Songmics case is a really pro looking bit of kit and it can hold a tonne of products. I love the organisation space inside and the fact it has a decent sized pop up mirror too. It would be ideal for anyone who has to carry around a lot of products on a regular basis but for me I just love who much better It will make accessing my collection without leaving it all out on show. 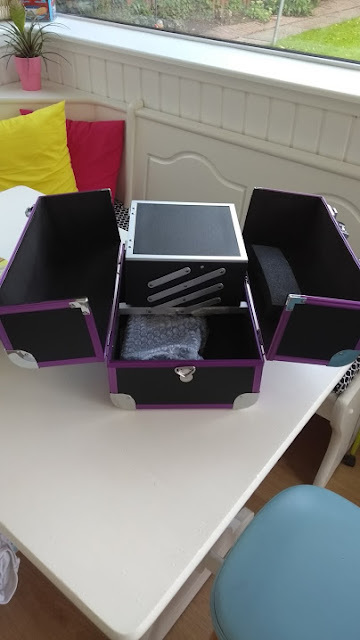 They had a range of vanity cases to choose from including a really slick black one that was a little smaller so would be really handy for smaller collections or needs. 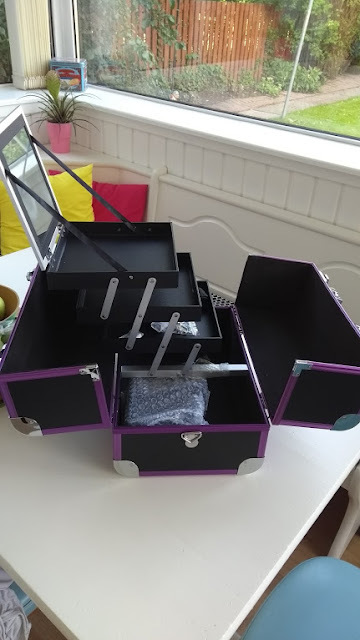 This one comes with a carry handle, keys for locking and a additional storage box for internal organisation which is super handy. 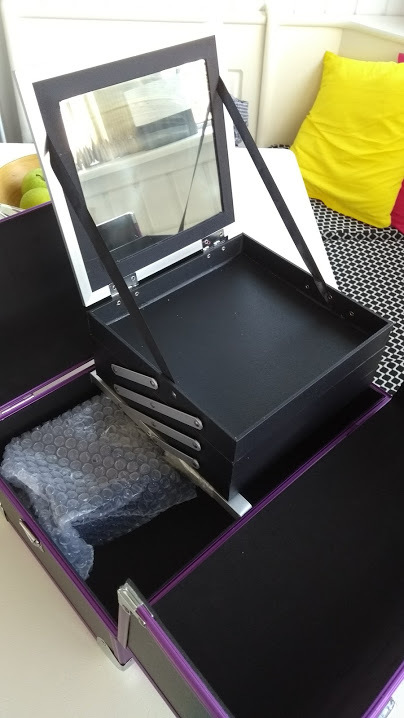 It is incredibly lightweight but still durable and the covered corners make it ideal for moving around with you which appealed to me, made even easier by the included pop up mirror. They also stock a beautiful range of makeup brushes that are just stunning as well as other make up accessories. The larger make up trolleys look like a MUA's dream, it is pretty worrying I could easily fill one of those too....! I have already started changing up my most used products thanks to my new storage system, I'll get a post on my new bits and bobs up shortly.